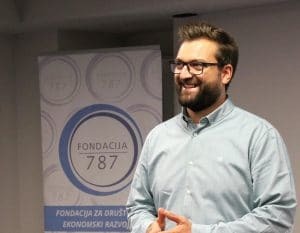 The experiences of the Foundation 787 say that examples of good practice are crucial for those thinking about entrepreneurship. Positive examples help these persons to make final decision to start a business. People who create great and sometimes incredible tales really are a powerful inspiration, no matter in which field they operate. We never hide the enthusiasm when we come across such stories. Biona is one of them and for a good reason – it is our true treasure among Bosnia and Herzegovina’s brands. Vladimir Grabovac, Biona’s CEO, told us more about this company, while we were delighted to review all the healthy items that this brand offers. Somehow it all began with a conversation about a healthy diet and products whose origins are known and tested, and for which raw materials are grown in Bosnia and Herzegovina. “Like most things in our country, it was all random and unplanned. I started the business thanks to the friend who was a wholesaler of healthy food in Serbia. He wanted me to open a company for him and be his man of trust, while he would be the one running the business. He did not know what he was getting into and I did not know how to run a business. It was an ideal combination to cause him to leave this job to me and my partners after two years. In those two years I wandered and learned how business should not be run. The challenges were constant and by each passing day only new problems for certain solutions were detected. Of course, if I knew what I was getting into, I would never opt for this kind of business. To my regret or my fortune, that Bosnian spite did not allow me to give up. With superhuman persistence, together with my partners and in “only” ten years of time, I managed to make Biona a recognizable brand”, said Vladimir. 787: What can you say to those who are just starting their own business, how important is planning? Also, how can they find (true) partners? This entrepreneurial venture is a synonymous for true values. Vladimir says that the only true value of the company is the creation of Bosnia and Herzegovina’s products from scratch and straight from the fields. This way, a lot of ordinary people, cooperatives, carriers, printing shops, packaging manufacturers and so on, are included in the value chain. Together, they strengthen our GDP and make this country a better place to live. In Biona, they are striving to employ people who are not competitive in the labor market because that’s the only way to grow. We have never heard of an entrepreneurial path that was simple, but each was such life-changing experience. Despite a multitude of unpleasant experiences on his way, Vladimir tells us that he would repeat his entrepreneurial story without thinking. 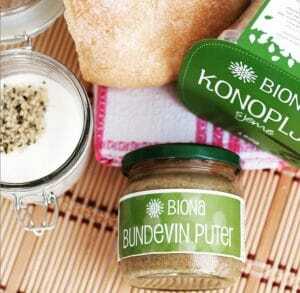 787: With what products did Biona start its story and how its assortment looks today? There is no doubt that Biona managed to place itself on the market as a recognizable brand with exceptionally high quality products of the domestic cultivation and processing. From a multitude of products of high nutritional value, we would select soy products in whose production, as we learn from the conversation with Vladimir, two types of soybeans are used – the ones with domestic origin, from the fields of Posavina and Semberija, and organic ones from China. Also Biona’s offer includes a series of gluten free products, and on the website visitors can find Biona recipes for many delicious dishes. 787: What is it like to be a vegetarian or a vegan in B&H and how can Biona contribute to menus of people with rare diseases? 787: Where can all the Biona products be found? While we fill our Biona cart of healthy food at the Web shop, we wish Vladimir and the brilliant Biona team all the best in their future work.